Marijuana cookie baking tips, where things get a little more advanced. It’s important to add the proper amount of flour so that it works well with your baking soda and power. Also for the color and flavour, you should use both white sugar and brown sugar. If you want to kick it up you can use mollasses as well. Using eggs with small yolks can also change things, you can fix this by adding more yolk from a second egg and removing equal amounts of egg white. Also if you’re a coffee lover, you can make Cappuccino flavored ghee and bake some delicious coffee flavored choclate chip marijuana cookies of coffee cake insused with cannabutter. Please, no matter how desperate you are, never use margarine. Butter makes a decent cookie, but shortening really make it top notch. Make sure you’re oven is preheated to the optimum temperature. Too make stoners blast up the temperature thinking it will preheat faster, then they throw in their cookies and turn down the heat. 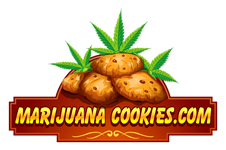 It not only deeply darkens and over dries your cookies, it messes with the chemistry to make good tasting marijuana cookies. Don’t mess with the temperature and never use margarine. If you’re new to baking cookies, please don’t waste your valuable cannabis butter. Bake at least 4 batches of the same recipe to perfection before attempting the real deal. 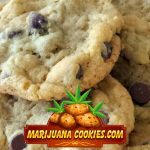 It’s best to master any recipe before you serve it to the Queen, and that how seriously you should take tese tips baking marijuana cookies. I amost forgot to mention the most important tip baking cannabis cookies. Once you have the right ingredients and you mix your cannabis cookie batter, place it into the fridge for a full 24 hours. It has magic powers and your cookies will turn out fuller with more flavor. But lab tests show that even when making infusions, decarbing first will up the percentage of THC extracted. Simply put your concentrates in an ovenproof dish or your crumbled plant material on a baking sheet and heat for about 20 minutes at 250 degrees F. Once decarboxylated the marijuana or concentrates are ready to cook with.